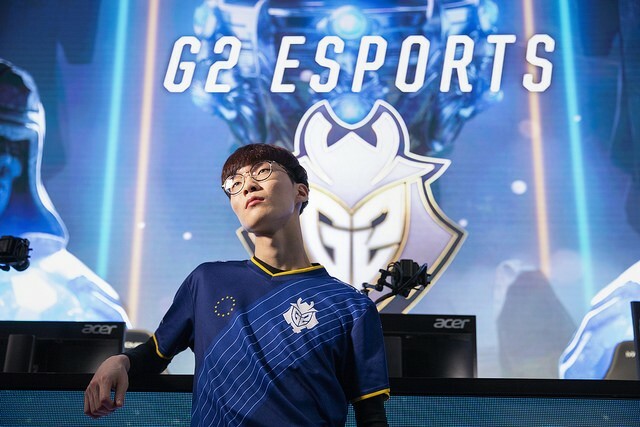 G2 Wadid: "I was looked down upon during my pro career. People had low expectations of me. However, those expectations excited me; they brought opportunities for me to prove myself." Limitations are self-imposed. What you can or can’t do is reliant on your own decision. It’s also up to you to prove that your decisions were right. 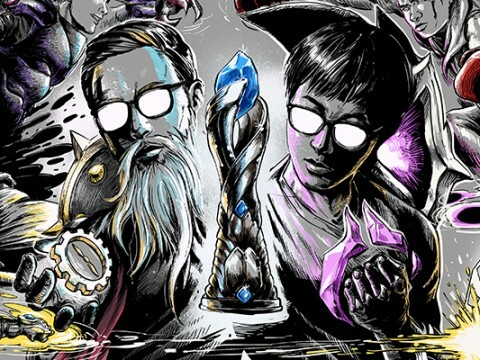 At the 2018 League of Legends World Championship, there were numerous teams and players that defied expectations by playing phenomenally; changing their past reputations. Some of the teams would be, Cloud9, Team Vitality, Fnatic, and G2. Of course, in China, the champions, iG proved their strength and cemented themselves as the best in the world. 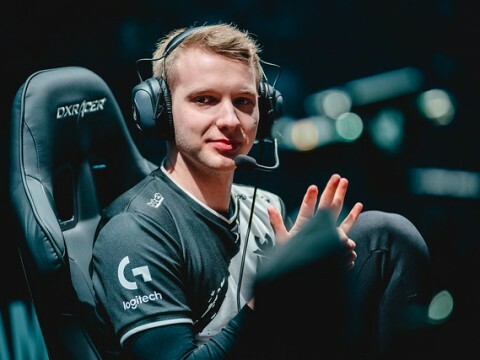 Some of the players that had left a deep impression on me are iG Rookie, who led his team to the top and Broxah, who has now become the new ‘hope’ of the EU Junglers. 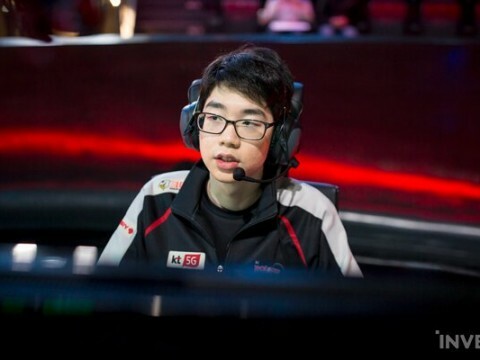 Last but not least, in the Support role, I’d like to show appreciation to G2’s Kim “Wadid” Bae-in. 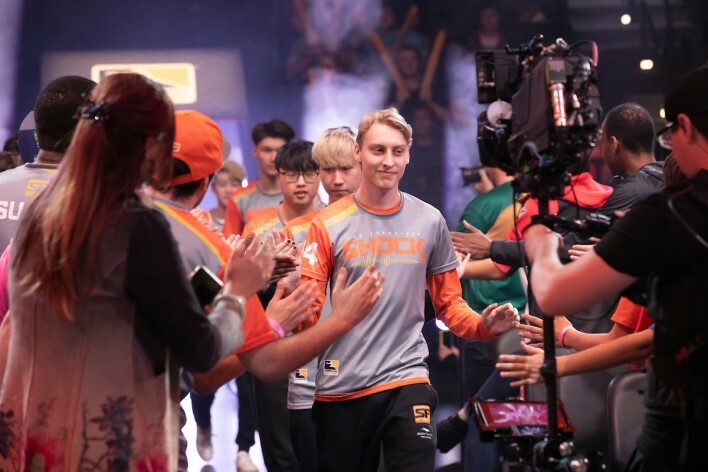 Although he is now recognized as one of EU’s finest Supports, his start wasn’t the best; a Diamond tier player becoming a professional player did not give him the trust or recognition from fans. 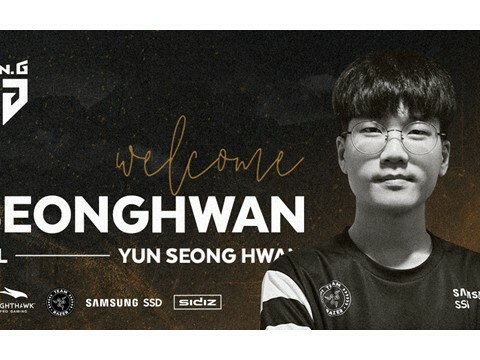 However, he was able to turn his criticisms into appraisals and finally received the chance to swing the Korean flag on the 2018 Worlds Semifinals stage. After his Worlds journey came to an end, we met up with Wadid who has succeeded in proving himself in front of fans worldwide. In the hour-long interview, he shared some of his honest thoughts on his 2018 World Championship experience. The following is the interview with G2 Support, Kim “Wadid” Bae-in. This Worlds must have been an unforgettable moment for you, Wadid. How have you been after your Worlds? I was just taking some rest. I’m currently meeting up with my friends; now I think I found my inner peace. I’ve been so busy this year since I had to go through the Spring/Summer split, Rift Rivals, and the Worlds which I did not expect to go this far. This year feels like my longest year since the start of my pro career. 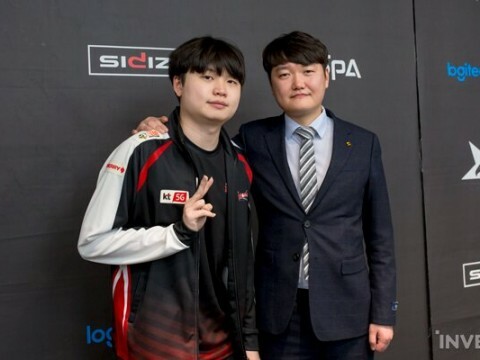 I can’t imagine how the best players go through all this since I haven’t even participated for the MSI; it's overwhelming when thinking of what they had to deal with. This year, what do you think was the toughest to go through? I think I had difficulties mentally and physically. Since we can’t win every single game, I had minor conflicts with my teammates. I was the only Korean player in the team so I think that was another reason that made me stressed out. You still made some good results. 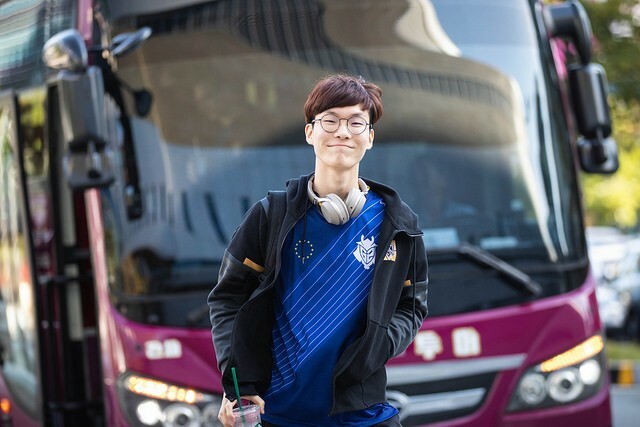 How did you feel after returning to Korea after winning the EU gauntlets? Every one of us was highly confident after winning the gauntlets. We thought that we had the chance in the Worlds since our performance was really good. However, the team started off bad in the Play-ins; we were crushed in the game against SupperMassive. We felt that it was different compared to what we’ve experienced in Europe. Everyone played at a very high level since the participants were the 1st place teams in their own region. That’s when I first realized that I was finally at Worlds. After that, we tried to simply work harder and play better. 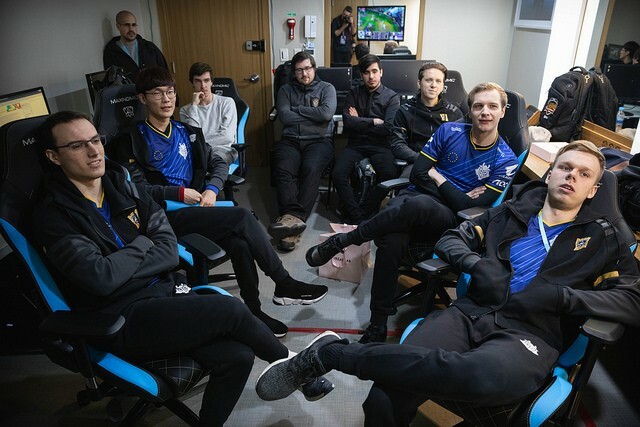 People say that starting from the Play-in Stage helped the team to improve their performance. Do you think that the Play-ins helped G2? If we did not experience the Gauntlets and Play-ins, we wouldn't have made it to the Worlds Semis. 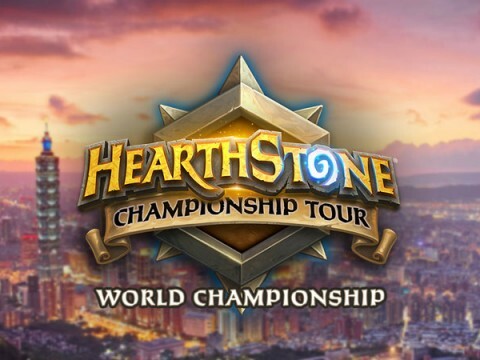 As we played more on stage, the players earned experience and time to adjust to the Worlds. We were able to alleviate all the stress and pressure we felt at the beginning of the tournament. It was a priceless experience. Playing a lot of official games means that the team has to reveal their strategies. Do you think that this can be a disadvantage? 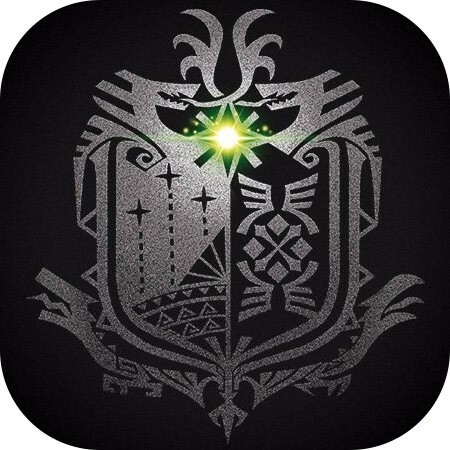 On the other hand, this means that we can find out whether our strategies really work on stage; the picks that are good in practice isn’t always good in official games. The other way around, some picks that weren’t really good in practice can be a solid pick on stage as well. We can also share feedback on our draft and learn good picks by watching what the other teams choose. After winning the Play-ins, you advanced to the Groups which was held in your hometown, Busan. How was it to perform in your own hometown? 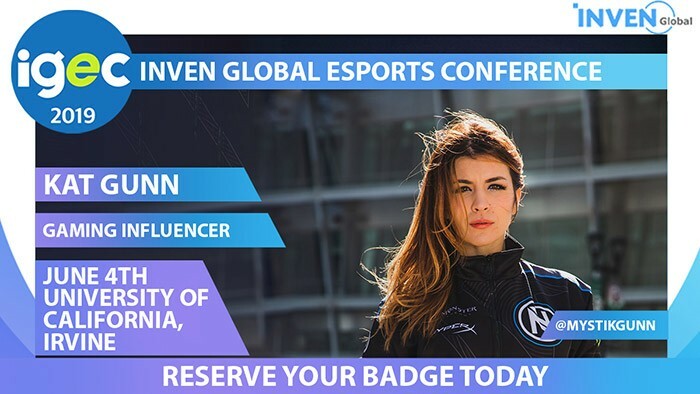 I don’t live near BEXCO, which was the name of the venue for this Groups. To be exact, my hometown is located near a 10-minute drive from Hae Woon Dae. That’s why at first, I didn’t really think about it that much. However, after hearing the loud roar when they introduced me on stage, I felt like I was at home. I didn’t feel any pressure. It was like performing in front of my close friends. It so fun. What was your most memorable game in the Group Stage? I was so happy after defeating LCK’s Afreeca Freecs who was thought of as one of the best teams in the tournament. No one expected us to win. Also, I’m more used to being on ‘this’ kind of position. What exactly do you mean by 'this’ kind of position? I was mostly looked down on during my pro gaming career. I was used to hearing things like, “This guy won’t make it”. No one had high expectations for me. It was like this when I performed in the 3rd division league and when I made the team, RSG in the 2nd division league. 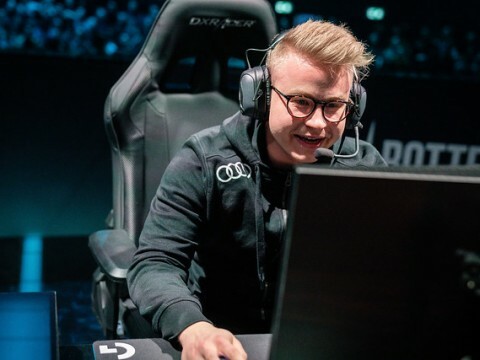 It was the same when I filled in for Zven-mithy as well. I’m used to being on ‘this’ position and it makes me excited. It’s always fun to prove myself that I’m worthy enough. 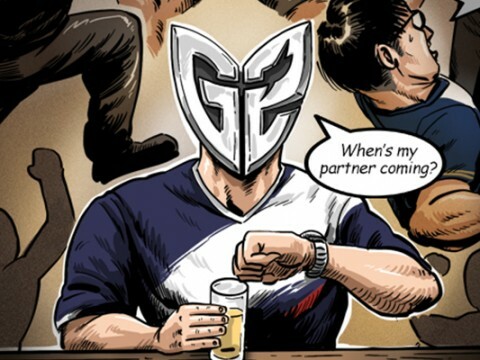 Despite the low expectations, G2 made it to the Quarterfinals. What came to your mind after seeing the draw results? RNG dominated the first game in the Quarterfinals. Were you concerned after that defeat? Well, we fell right into the opponent’s trap. 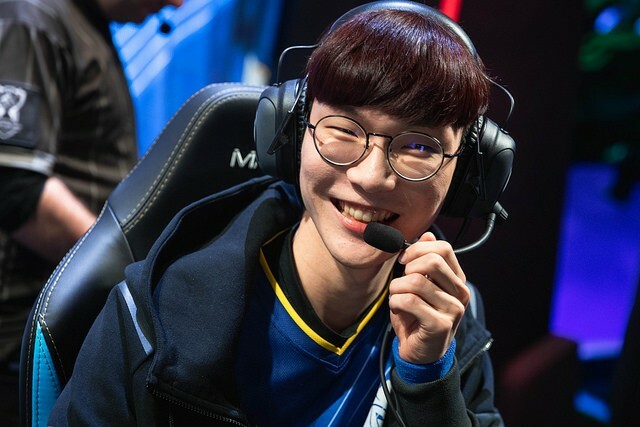 The thing I learned after playing against RNG four times was that they are a team that uses the same plays; Junglers mostly focuses on bottom lane and the Bottom duo usually do not even leash for the Jungler. That’s why they are very strong in their early games. Their Mid and Top laner always goes for Teleport and joins their Bottom duo when a fight occurs. When we were facing RNG I thought I only had half of my map to perform. This makes it very difficult to win the fights that we have the advantage on. I thought that we shouldn’t fall for their traps while we playing against them. That’s why I said we must pick Tahm Kench since he’s strong in laning and is good to support the ADC. I thought he would help us sustain in lane because he can counter the opponent’s dive. As a matter of fact, we picked Tahm Kench in games 2, 4 and won quite easily. It was really hard to predict what’d happen in game 2. While preparing for game 4, I thought that we had to pick Tahm Kench no matter what in order to win. Why did you use Braum in game 5? I knew that Tahm Kench would be banned in the last game. I thought that the opponent would use either Thresh or Rakan. To be frank, Braum is not a good pick to sustain in lane phase. But, he is a champion that can give good ganking support in the early game. I knew that we’d give away the laning advantage but we still picked him in order to succeed early game ganks. The opponent had Thresh, which makes it quite tough to succeed ganks. It seemed like the Control Ward was the key for G2’s ganks. Honestly, I think we warded a bit late. 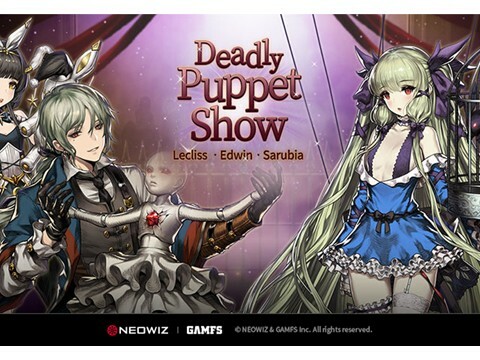 (laughs) However, since it was such a pressuring match, the players seemed to respond late. I think I was 0.5 seconds faster than UZi. RNG was a strong team that was winning every tournament this year. How was the team atmosphere after G2 defeated RNG? Personally, I wasn’t fully satisfied since I didn’t perform well in the series against RNG. That’s why I was the one who said “sorry” to the players the most. Besides that, we were happy that we won. That team was one of the best in the tournament; they were thought as the strongest team this year. I was happy that we defeated a team like RNG. Perkz left a Tweet implying that RNG had a lot to lose, whereas G2 didn’t. That was what he has been saying quite a long time ago. Our reputation wasn’t good since we’ve been performing very poorly after the Summer split. Everyone expected that any opponent would win against us. Our expectations were low and we had nothing to lose. In the Semis, G2 met LPL’s Invictus Gaming (iG), you used a Korean flag for the intro. Was there any special reason for it? I didn’t know that it would bring this much recognition since it’s a quite common thing to do in EU. Players that play in an EU team have different nationalities. That’s why it’s common to bring their own national flag. 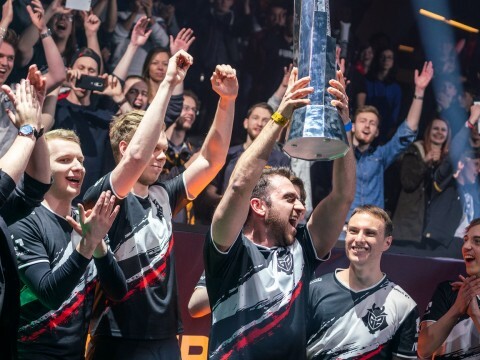 This year, the Spring Finals was held in Denmark, where Wunder was born. When he brought his flag on stage, the crowd made such a loud roar. It was like watching a movie and I wanted to try it myself. The idea suddenly came to me a day before the Semis. I told my teammates that I’d like to bring my flag on stage and they asked why I didn’t do that earlier. I knew a person that makes banners, so I easily received a Korean flag an hour before the game started. I did think about what I’d do with the flag. However, most importantly, I wanted to first show the flag on camera since the Korean flag is really beautiful. Then I thought about wearing it like a cape. The crowd’s roar was so amazing when I did that. Well, at then, I was confident, but if someone asks me to do that again, I think it’d be quite difficult. The way you spread the flag open and wore it seemed so confident and smooth that I thought you must have practiced this beforehand. I did not do any practice. (laughs) All I did was just think about what I would do on stage. In the clip, it did seem like I practiced. I guess it was just one of those lucky moments in life. Even people that don’t know LoL that much told me that I looked really cool. I was lucky [to hear those compliments] since I wasn’t popular in Korea. You lost against Invictus Gaming 3:0 which must have been a frustrating result. Since RNG and iG had similar playstyles, I thought that the bottom laning itself would be a bit easier compared to the Quarters. 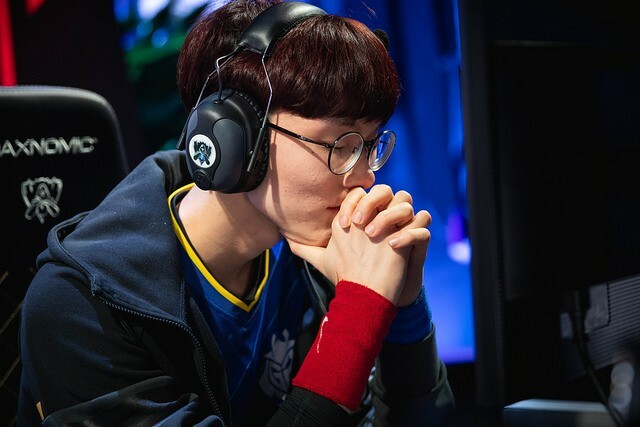 In the game against RNG, it was really tough since their Bottom duo knew how to use their advantage and snowball with it; probably they are one of the best in that. Against iG, we did pressure the opponent duo at times. We should have used our advantage a bit more and helped the rest of our teammates. This interview will be posted after the Finals. You’ve faced iG in the Semis and you’d know well about Fnatic since they’re also from EU. Which team do you think would win? 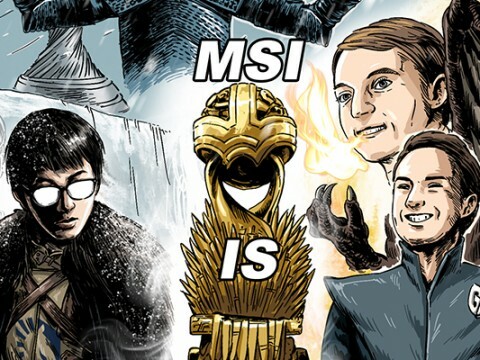 The team that wins the mid lane matchup will lift the trophy. The two teams have same playstyles; their Top, Mid lane is strong and Bottom lane sustains. They even have Top substitutes. I predict that the Top and Mid fights will be the most important. The Mid lane matchup will be really competitive. Well, Caps’ performance wasn’t that good in the Quarters. However, he recovered his performance in the Semis. The Mid matchup is going to be fierce. 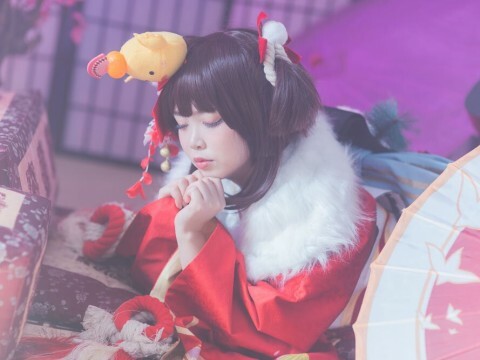 The game will snowball towards the side that succeeds in giving their Mid laner the advantage. If one side collapse, the game will simply be over. You said that you are used to receiving low expectations. As a matter of fact, no one really focused on the player, Wadid before the Worlds. Now, some say that your talent is about hard work. Do you agree? I’m not talented. However, some say that hard work can be seen as a talent. I wanted to fulfill my dreams by working hard like Ji-sung Park, a soccer player I really admired. He also received low expectations in his pro career; he was a player that was short and had flat feet. People had low expectations of him when he was an amateur. However, he put in his everything and now is remembered as one of the best players. Ji-sung Park is my role model. I do think that hard work is one of my best abilities as a pro. I was a Diamond tier in solo queue in my Challengers Korea days. I reached Challenger tier right before joining an EU team, Roccat. One day I played alongside with Gu “Imp” Seong-bin and he messaged me after the game. Thanks to Imp, I learned a lot and that’s how I was able to join Roccat. I guess my life is composed of 99% of luck and 1% of effort. That’s why I try to work harder. Since effort do end in failure for a lot of people, wouldn’t the others be frustrated to see a lucky person like me not putting in their utmost? It doesn’t make sense. Although I didn’t have a good solo queue tier, I tried to participate in almost every single offline tournaments. I’ve played in the 3rd division and made my own team in the Challengers Korea. I even played in a PC bang league. I think it was a combination of my effort and luck that made me who I am right now. It seemed like such a long journey but at the same time, it sometimes feels like a very short one. I did learn a lot and made it to the Worlds Semis. However, someday I’d like to win the Worlds title. At first, I just wanted to prove that I wasn’t a bad solo queue user. I wanted to prove more as time passed. I’ll still have a lot to prove even if I do win the Worlds. Some will think that it was luck that brought us to the Semis. I want to prove that they are wrong. I personally think I’ll be on an endless journey of proving myself in the future. Before we wrap up the interview, do you have any words for our readers? I started from “0” and made it all the way up here. However, I do not think this is the end. I want to consistently show that I’m good. Also, I received a lot from others. I’d like to thank my family, Imp, and each and every person that gave me support. It’s hard to point out every help I’ve received but for sure I do remember everything. I’d like to be thought of as a proud friend and a player. Thank you!